After a period of uneasy calm, Islamist violence is returning to the country’s northern regions. As another attack ends an uneasy calm in northern Mozambique, a growing Islamist insurgency in the region has continued to worry Catholic bishops in the southern African country. On November 14, the insurgents attacked Nagulue’, a village in Macomia district, killing a chief, injuring several villagers, and burning down at least 18 homes. Until this attack, it had seemed that life in the region was gradually returning to normal, prompting government officials to announce that the situation was under control. But the latest violence is the clearest indicator that the violence is far from under control, analysts are warning. For months, the militants have attacked villages and towns in the Cabo Delgado province, killing innocent civilians and disrupting ordinary people’s lives. Women and children have been beheaded and the police targeted, heightening fear in the region. The violence is being witnessed in the districts of Mocimboa da Praia, Palma, and Nangade. In terms of religious demographics, Muslims are the majority in Cabo Delgado, unlike other parts of country where Christians are the majority. The region is also one of the poorest in the country, due to years of neglect and marginalization. Lack of visible action aimed at developing the region has fueled resentment that has fed into the rebellion. This where the Catholic Diocese of Pemba, with more than 600,000 Catholics, is located. It is in this environment that a new jihadist group, nicknamed al-Shabaab (although there are no visible links with Somalia’s terror group in the same name), has emerged recently. Since October of last year, the group has carried out violent activities in the province—burning homes and attacking churches and some mosques—that local people say are new to the area. 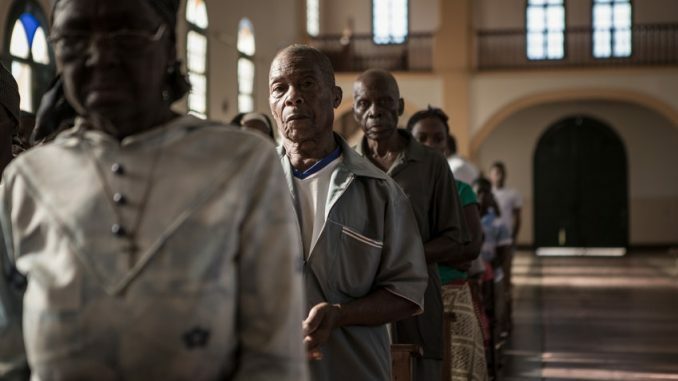 In September, the Catholic Episcopal Conference of Mozambique expressed concern that the government had failed to address the violence or unveil a convincing strategy to end the nascent insurgency. “There seems no clear and decisive position on the situation,” the bishops said in a pastoral letter in September. The government’s initial response has been largely incoherent, with police arresting large number of suspects. Some face charges, while others have been set free. Meanwhile, the Mozambican government is about to hand over the responsibility of fighting the militants to a private company, according to the Institute for Security Studies, an African organization that aims to enhance human security on the continent. One of the companies being considered is L6G Security Company, associated with Eric Prince, the man behind the controversial US security company Blackwater. Mozambique will pay its contractor through anticipated oil and gas revenues. The bishops expressed regret that precise information about the terror group is still scant. The group has surfaced under various names, including Ansar al-Sunna, al-Sunnah wa Jama’ah, and Swahili Sunna. It is operating in the province, where international gas and mining companies recently discovered one of the world largest deposits of off-shore gas. “We are also very worried about news that comes from Mocimboa da Praia, Cabo Delgado about attacks and violence of these last months,” Archbishop Francisco Chimoio, the president of the Episcopal Conference of Mozambique, said in statement last April. Chimoio, who is the archbishop of Maputo, expressed disappointment about the limited information available about the real perpetrators and their motivations. “This state of affairs leaves the population unstable, fearful, and anxious, which at the end of the day compromises their ordinary life,” warned the archbishop. The terrorist group rose to prominence in October 2017, when its members attacked police units in Mocimboa da Praia, an Indian Ocean seaport in the north of the country. The port is a travel post to Tanzania and other areas. Reports suggest that the group started in 2015 as a Muslim religious organization. Within a short period, it became militarized and gathered fighters in cells. It easily found a following among the youth and the communities in the province. While the larger community has been economically marginalized for years, many of the youth are also unemployed and live in extreme poverty. Family ties and radical mosques are the group’s main source of adherents. Among the group’s initial actions was taking control of mosques or establishing their own. This made it easier for the militants to preach an anti-state ideology and a radical form of Islam. Like many other international or national jihadists groups, Ansar al-Sunna is motivated by an interest in establishing an Islamic state in Mozambique. Like Nigeria’s Islamist group Boko Haram, Ansar al-Sunna opposes the government’s secular education system—especially the co-education of girls and boys. They refuse to send their children to public schools. At the height of the violence earlier this year, the group’s members could be identified by their dress, which included white turbans and black shorts. Many maintained cleanly shaven heads and kept long beards. They defied Muslim traditions and entered mosques wearing shoes and carrying weapons. They also avoided meeting ordinary Muslims. The group’s sources income are believed to be trafficking of timber and rubies, which are plentiful in the province. Some news sources also suggest that the terrorists have been involved in illegal trade in ivory and contraband goods, involving Tanzanians and other Africans, and Chinese and Vietnamese. There also alleged sympathizers who donate funds through electronic means. Recently, Bishop Luiz Fernando Lisboa of Pemba said neither the enemy nor its motive were known. While describing the situation as extremely new in the region, Lisboa said the developments had taken the people and the government by surprise. 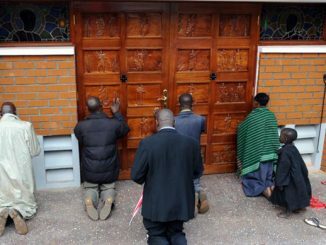 According to the bishop, the people are speculating that this has to do with religious radicalism, while others are talking of a struggle for natural resources, illegal arms trafficking, political disputes, and ethnic rivalries. The bishop has been visiting the villages to calm the people and to ask them to keep the peace. 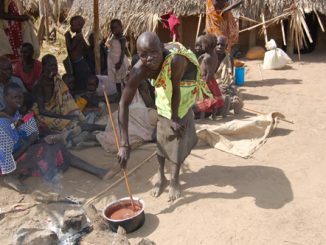 South Sudan’s war: Is the world turning a blind eye? A book and web site called, “After The Warning To 2038” has an accumulation of prophecies from Venerable, Blessed, and Canonized saints; including the major apparitions of Mary and prophecies given to those visionaries of our time. It includes prophecies of Mary appearing at Anguera, Brazil. The 10 events spoken by our Lady of Medjugorje, are about to unfold. These prophecies give us valuable awareness, to prepare us to get through major “Storm” events that God intends to allow to unfold on this planet. 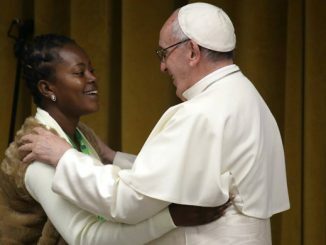 More of this pope’s friends over at the religion-of-peace, just doin’ their thing. More silence from you, Francis?